Leila Philip is the author of four books including The Road Through Miyama (Random House 1989; Vintage 1991) for which she received the 1990 / PEN Martha Albrand Special Citation for Nonfiction; and the award-winning memoir A Family Place: A Hudson Valley Farm, Three Centuries, Five Wars, One Family (Viking 2001, Vintage 2002, SUNY 2009). Philip has received numerous awards for her writing, including fellowships from the John Simon Guggenheim Foundation, The National Endowment for the Arts and The National Endowment for the Humanities. Fluent in Japanese, she writes on Japan as well as about art for a variety of venues including artcritical and now contributes a monthly column for The Boston Globe. Philip’s play Cardiff, produced by 3A Productions, opens at The Duplex Cabaret Theatre in New York City on January 25th. It is based on a true story. Forty five years ago, in a gritty section of Cardiff, South Wales, on the morning following the installation of his sculpture, British artist Garth Evans recorded the reactions of passers-by to his work. These recordings serve as the inspiration and starting point for the piece. Works by Women spoke with Philip about her writing process, her other collaboration with Evans and the best advice she’s ever received. WORKS BY WOMEN: What was the light bulb moment. How did you know the Cardiff tape needed to be turned into a play? LEILA PHILIP: The first time I heard the [Cardiff] tape, I knew immediately that I wanted to do something with it, there was such a strong and timely story pushing up from what are essentially a random collection of voices. Garth [Evans] had made the tape in 1972 by simply taking a tape recorder out onto the street and asking people who were walking by what they thought of the sculpture there on the street before them. He didn’t call what they were looking at “sculpture” on purpose – he wanted to elicit responses without naming what they were seeing. But the sculpture is a large steel construction, it makes a powerful statement, literally filling the street. Interestingly, people stopped to talk to him so openly. One wonders if that would even be possible today, given our world. When I listened to the tape I was amazed at the range of responses as people grappled with what was basically art creating an encounter with the other. Some of the voices are so judgmental, its painful to hear the anger and fear that has shut down their ability to be curious. But others demonstrate a human capacity for empathy and imagination. So, on one hand that tape is like a Greek chorus, saying “Don’t wake me up, don’t make me think, go away,” but then there are the voices of individuals who counterpoint that by trying to grapple with what they are seeing and the uncertainty it represents. The more I listened to the tape, the more I thought it sounded something like a Samuel Beckett play – absurd and dark while at the same time strangely poignant. But the tape is more hopeful than Beckett I think. There is this one voice, the character of the 40th man, who turns the tide in an interesting way. I thought it was incredible, how underneath this seemingly random collection of voices – of people reacting to a work of art that they had encountered on the street, often with a lot of resistance, even animosity – one of the oldest stories in the world – the struggle to adapt and learn and face change – was actually pushing up. I thought of the Greek myth of the Oracle, which is really one of our oldest stories about the human fear of not knowing. We want answers, we want certainty and of course, life doesn’t deliver that. So that was the main thing, I felt I could hear an archetypal story pushing up within all the voices on the tape. And they were so rich in character! You can hear within the different personalities, a shared identity of people grounded in a specific moment and place and time. As for the light bulb moment. It was more of a process than one “Ahah moment.” It actually took a lot of time to figure how to bring a sense of drama to the tape. The archival tape is a set of random voices so the challenge was how to mine the sense of character in order to develop the arc of a story. I drafted more times than I can even count trying to capture a sense of narrative movement, a sense of change – that something is building and transforming. My background as a nonfiction writer and as a poet taught me how to seek out the invisible forces, the stories behind factual events and the power of stories that lie in objects and things. But writing for the stage was new for me and very challenging and also so interesting! I learned a lot from looking at works like The Laramie Project and monologues of Anna Deavere Smith, which of course make use of documentary and archival material. The art of working with the real is of course, that you are working with the power of selection and arrangement more than invention in a strictly fictional sense. I would say a breakthrough came when I let myself engage fully with the voices as characters and let myself imagine who they were beyond the tape. One of the children’s voices in particular struck me with some force and I worked to imagine and create a fictional character based on this voice. The play opens and closes with this character, who had witnessed the sculpture in 1972 that day it was put on the street, and in the context of the play, goes back to see it years later. That emphasis on character opened me up to think of the other voices and to give myself more space and freedom to arrange the rhythm of who says what and when. Once I let myself re-arrange the order of the voices, I also began to think of how they interacted with one another as well as with viewers and the narrative began to take shape. Garth Evans sculpture on display in 1972. WBW: Tell me more about the process of harnessing the tape into the play. LP: Garth is one of the most creative and fearless artists I know. He works incredibly hard, but he also has a great sense of fun. That he made the tape in 1972, without fanfare, is typical of his ongoing interest in pushing his own work emotionally and intellectually. Today, we can look at what he did and see it was a form of what today might be called “socially engaged practice” or “performance art,” (Garth later used the tape – on an endless loop—in an exhibition – with the voices coming from a garbage can), but once Garth made the tape and used it that once, he put it away in storage because sculpture as performance was not his prevailing interest. So the first thing I would say is that working with Garth was wonderfully freeing. That sense of freedom and exploration and the idea to have fun with working on it was thus, part of this project from the start. Garth gave me the tape and was happy to answer any questions I had about it, but otherwise he gave me complete freedom to work with it as I liked. He didn’t want to work on writing it with me, he wanted to me to work on it independently, to see what I would do with it. He’s had that same attitude about the staging of the script. He’s willing to let Andrew Loren Resto as Director take over and make it his own. So yes, Garth is like the Nike ad, just do it. I tend to be the one who feels that they have to prepare, to study, to look to the experts before I can begin. Some of that helps of course. And I’ve been incredibly lucky to benefit from an amazing education. I love having that background because I draw from it all the time, but all that formal education can also set up blocks. It’s easy to keep raising the bar on yourself, because when do we ever feel we are good enough, or talented enough, or have studied enough to do what we need to do? Never. You always feel insecure and scared. You just get started! Working with Andrew Loren Resto was equally inspiring. He has this tremendous energy and enthusiasm. He has his own opinions and ideas of course, lots of them, but he manages to facilitate other people’s ideas. That is a real strength. I felt I could throw out an idea, make a revision on the script and he’d listen to it and try it out. Usually if something wasn’t quite right, if a line was off, or the pacing was slow, I’d hear it in a readthrough with the actors. But sometimes it just took Andrew saying he didn’t think it was quite right. He wouldn’t tell me how to fix it, and I really appreciated that space to work. I’ve been working on the script for two years now. It’s been an incredible learning process as we worked on the script by holding readthroughs with different actors. Hearing the play read out loud and watching actors respond to the lines gave me so many ideas. WBW: This piece is very intriguing–a call and response among many art forms (sculpture, film/interview, writing) inspiring each other. Is there one particular interview that sticks out for you? LP: The words of the character called the 40th man are particularly important I think. It is this character, a scrap dealer without much of a formal education, and so perhaps a person that you might think would have trouble with avant-garde art, especially a very large very modern sculpture landing on their street. But he embraces it with great sensitivity and humility and is changed by it. His response is really so beautiful and hopeful and is in direct contrast to the many of the other voices, who wish to weigh in on the sculpture and judge it. His comments completely change the story. WBW: This play is 45 years in the making. What have you gleaned from looking back on an event that happened almost five decades ago? We have so much access to information, we are so globally connected now, but instead of bringing us together as a nation, as a community, it seems to be doing the opposite. After the recent election, working on the play feels even more timely and important. People seem to be losing their ability to imagine and empathize. I feel strongly that we need stories now more than ever to remind us of who we are and what connects us. WBW: Tell me about Water Rising, your other collaboration with Garth Evans. LP: Water Rising was our first collaboration as a writer (me) and visual artist (Garth). It is a book of watercolors and poetry published by New Rivers Press in 2015. The whole project began with the idea of doing something new and stretching ourselves creatively. We didn’t know it would become a book until a year into the project! It began quite simply one day when Garth came up from his studio and said “let’s do something!” and I answered, “okay, what?” Well, of course there was backstory. We’d talked about doing something together on and off for some time. But that day we committed to the idea. We then we set about figuring out the nature of the collaboration. We looked at the work of Merce Cunningham and John Cage and other collaborations we admired such as the work of writer James Agee and photographer Walker Evans. From this we realized we needed to set up rules of the game. So we set up some working guidelines. First we decided that both of us would work in new genres, not our primary practice. So Garth, who is a sculptor, made works on paper and while I usually write prose, I wrote poetry. We also said we would make work for a year and not show it to one another. So, essentially we worked on parallel tracks for 12 months, then brought the work together. It was when we put what we had done together that we realized we had a book. I almost forgot to say, something important. Along the way we realized that the book had an environmental mission so we donate 100% of proceeds from book sales to groups working on environmental issues. So far we have made donations to groups like Connecticut Audubon Society, the Opacum Land Trust, Scenic Hudson, Sustainable Cape and a number of groups in Oregon such as 1,000 Friends of Oregon. That part of the project has been very rewarding. We know it is only a little contribution to help stem the tide of the rather overwhelming situation of environmental degradation facing our planet, but it feels good to do what we can. WBW: What other writing project are on the horizon? LP: Well, we aim to keep working on this project. Garth is working on taking the original sculpture back to Cardiff, Wales in 2018 in order to make a second recording. That is going to be really interesting. Further performances are in the works. As for me, I’m working on a new book of extended narrative nonfiction, looping back to my previous work in that genre. I’m really excited about this new project, but I don’t like to talk much about work in progress. I’ll just say that it tells stories that explore landscape and identity especially in the face of climate change, which is not just coming, is right now happening all around us. I also recently accepted a new gig as the “Writer in Residence” at the Worcester Art Museum, which has a fantastic art collection, so I’ll be writing ekphrastic works in response to the artwork there on a regular basis along with my writing for the Boston Globe. LP: I have always loved the way we both lose ourself and find ourself in a good story. Sometimes I think I love to read and experience theater even more than I love to write. But I’ve always been drawn to words. I just love them. I don’t know why. But I think finding the right word is form of the basic human yearning to make a mark in the world, which in many ways is not unlike drawing. I’m thinking of the first cave paintings – that image of a red hand on the wall, which reflects our most primitive desire to say “I was here.” Writers, and maybe all artists are those hungry people who aren’t satisfied with just living life the first time — they want to find a way to stop time, to hold onto life somehow and experience it again, or maybe for the first time by experiencing it again through language. The more you think about it, maybe the more odd it is! I think the best advice I ever had about making creative work came from a ceramic artist I studied with years ago. She said, “just keep working. You have to work every day because then the work comes.” There is really so much wisdom in this because the need to create work without the act of actually doing it tends to lead to self-criticism and to create a tremendous inner pressure which can make getting the writing done much harder. Cardiff is at The Duplex Cabaret Theatre January 25 – 28, 2017. For tickets and info, visit The Duplex’s website. Photos courtesy of Leila Philip. 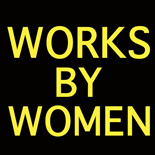 This entry was posted on January 11, 2017 by worksbywomen in Interview, Theater, Women and tagged 000 friends of oregon, 1, andrew loren resto, Anna Deavere Smith, artcritical, boston globe, cardiff, connecticut audubon society, duplex theatre, garth evans, john simon guggenheim foundation, leila philip, national endowment for the arts, national endowment for the humanities, new rivers press, opacum land trust, pen martha albrand special citation for nonfiction, scenic hudson, sustainable cape, the laramie project, water rising, worcester art museum.